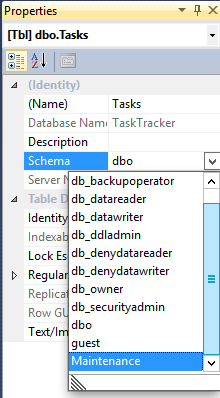 In SQL Server, a database schema faciliates security management. A schema assists in defining who can access each database object. A database schema can also act as a namespace. This prevents name clashes of objects from different schemas. 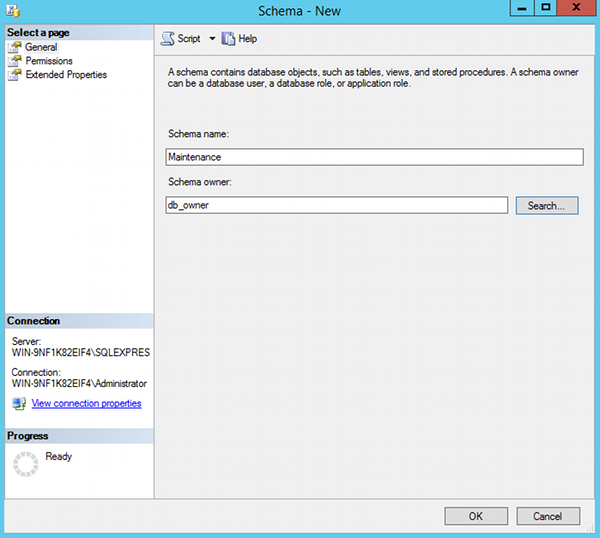 What is a Database Schema? A database schema is a way to logically group objects such as tables, views, stored procedures etc. Think of a schema as a container of objects. You can assign a user login permissions to a single schema so that the user can only access the objects they are authorized to access. 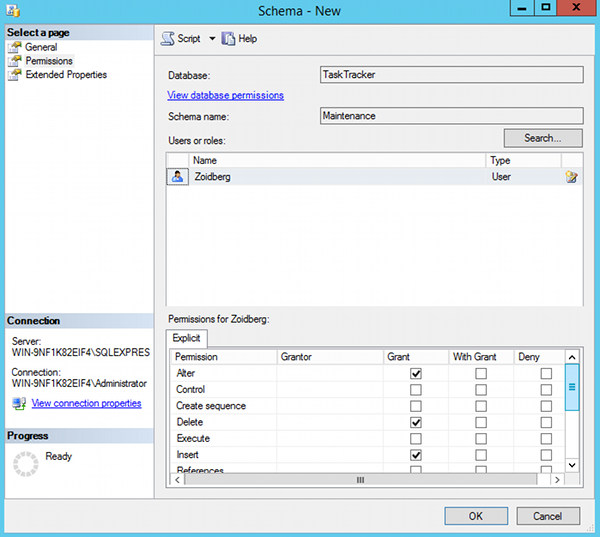 Schemas can be created and altered in a database, and users can be granted access to a schema. A schema can be owned by any user, and schema ownership is transferable. 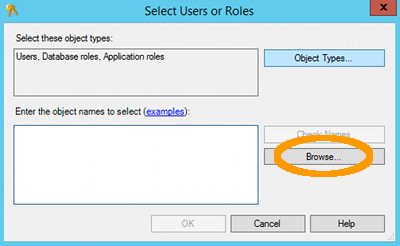 From the Object Explorer, navigate to Security and open the Schemas node. Complete the details in the General tab for the new schema. In this example, the schema name is Maintenance and the schema owner is db_owner (you can also use the Search function to find an owner). 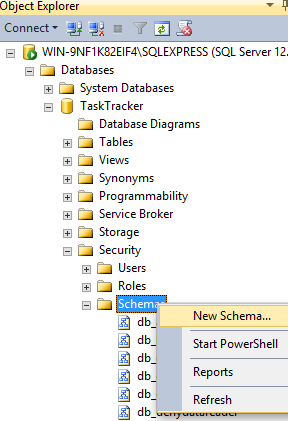 Now that we have a new schema, we can add objects such as tables, views, and stored procedures to it. For example, we could transfer one or more tables that we created in the earlier lesson to the new schema. 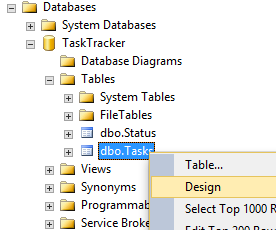 When we created that table (called "Tasks"), it was created in the default database schema ("dbo"). 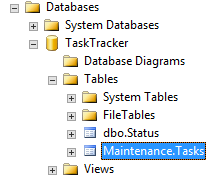 We know this because it appears in our object browser as dbo.Tasks. From Design view, the Properties window should appear to the right. If not, press F4 to display the Properties window. You may get a warning that says Changing the schema of this object will result in all current permissions being dropped. Are you sure you want to proceed? . Click OK to proceed. Close Design view by right clicking the x on the tab. Your table has now been transferred to the "Maintenance" schema. 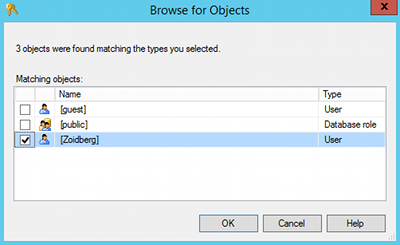 Refresh the Object Explorer by right-clicking on Tables and clicking Refresh.